Hip replacements don’t last forever. When they wear out or fail prematurely, patients require revision surgeries to treat complications and receive new implants. Revision surgeries are more risky than primary hip replacement procedures, but they can relieve pain and restore mobility. Hip revision surgery is when a doctor removes a problematic or expired hip implant and replaces it with a new implant. This risky and complex procedure can relieve pain from complications and offer a second chance at restoring mobility. The Orthopedic News Network estimated that nearly 460,000 people had hip replacements in 2010, and about 56,000 of those were revisions. As demand for hip replacement continues to rise, doctors predict revisions will rise as well. Patients can reduce the risk of complications that cause revision surgery. Antibiotics can catch infections before they spread. Patients can also avoid dislocation by following the post-surgical instructions about caring for their new hip and how much activity is safe. However, infections, trauma, natural wear and defective implants can make revision surgery unavoidable. The risk for complications during revision surgery is higher than the risk during primary hip replacement procedures. People who have had revisions surgeries are more likely to require future revisions than people who haven’t had a revision surgery. That’s because the bone and tissue in the hip is more likely to be weak or damaged in people who have revision surgeries. Thus, the implants are more likely to fail in the future. Despite the risk of future failure, revision surgery can treat complications, ease pain and increase mobility when successful. Many people live improved lives after a revision surgery. Data from the United Kingdom’s Orthopedic Registry and a similar registry in Australia indicate that only 5 percent of patients who receive total hip replacements require revision surgery within seven years. But 15 percent of metal-on-metal implant recipients in the U.K. registry and 8 percent in the Australian registry required revision surgery within seven years. Johnson & Johnson’s DePuy ASR metal-on-metal hip implant had a 40 percent failure rate within the first 5 years, according to internal company information revealed during a lawsuit. About 16 percent of patients who received a Zimmer Durom Cup required revision surgery for loosening within two years of receiving it, according to a 2010 study. Nearly 14 percent of Biomet Recap M2a Magnum hip replacements with large diameter heads caused complications that required revision surgery, according to a 2013 study. However, only 4 percent of patients received revision surgery by the time of the study. Of patients who received revision surgery to remove a Stryker Rejuvenate implant, 13 percent experienced a complication within two years. About 8 percent required an additional revision surgery, according to a 2016 study. Most surgeons don’t use metal-on-metal implants anymore because the hip replacements had high failure rates. People require hip replacement revision surgery because their hip implant wears out or they experience complications. Signs that a person needs a revision surgery include pain that comes on suddenly, swelling or trouble moving the joint. Anyone who experiences these symptoms should see a doctor immediately. However, those symptoms don’t always mean a revision surgery is necessary. Doctors will perform tests to determine whether revision surgery is necessary. Tests for implant failure are more intensive than tests for natural hip failure. Most people keep their hip replacement for 15 to 20 years. The implant will eventually fail from normal wear, and a person will require a new one. People who receive a hip replacement at a young age or people who live active lifestyles usually require at least one new hip replacement. However, doctors try to avoid giving hip replacements to people who will eventually need a revision surgery because revision surgery is a risky procedure. Some implants fail for reasons other than normal wear. Complications that cause revision surgery include infection, defective hip implant design and poor surgical technique. Each of these can cause severe pain, recurring dislocation or implant failure (fracture or loosening). The hip can become infected in the initial weeks after surgery or later if a person has an infection in a different part of the body. Dislocation can be caused by extraneous exercise, trauma, a faulty implant or normal wear. Implant failure is usually caused by trauma or a defective implant, but it can also be caused by normal wear. The type of revision surgery depends on the cause of the revision, the type of hip replacement components that the person received and the individual patient. If a patient is experiencing dislocations, the surgeon may reposition certain components or replace them with new ones. The patient may also have to wear a brace for multiple weeks to help the implant stabilize. If the infection is recognized quickly, the joint implant is cleaned and the original implant is left in the patient. The patient will usually take antibiotics for several weeks or months. The surgeon will remove the implant, clean the bone and implant a new hip replacement. The patient usually takes antibiotics for several weeks or months. The surgeon will remove the implant, clean the bone, implant a spacer and prescribe antibiotics for six weeks. Then the patient will receive a new hip implant. Mechanical failure usually occurs when a patient’s bone or tissue is weakened by particles that are released from the implant. The damaged tissue allows the implant to become loose. This can cause a bone fracture or implant fracture. To fix mechanical failure, the surgeon will remove the implant and assess bone and tissue damage. They may use a bone graft (bone transplant) to repair the hip. Then they’ll implant new hip replacement components. The type of revision surgery that the patient is receiving determines the revision process, but the overall process is the same. The surgeon makes an incision. Then he or she removes, replaces or reconstructs the hip replacement. Recovery time is generally similar. The doctor may use the site of the old incision or make a new one. The incisions are usually longer and more extensive than those made during primary surgery. Because scar tissue from the original surgery can alter the locations of nerves and blood vessels, doctors must cut around the tissue carefully. Next, the doctor removes the failed implant parts and old cement. The surgeon also removes any diseased bone and tissue and prepares the area for the new prosthesis. Depending on the extent of the damage, this may take a while. If there is too much bone loss, the surgeon will reconstruct the bone using bone grafts, screws and metallic plates. Then, the surgeon implants the new device. The patient may wear a brace or splint to help the healing process. Doctors usually recommend movement restrictions for 6 to 12 weeks. Strength in the joint may continue to improve for up to two years. Complications after a second surgery are greater than after the original operation because the second operation is more complex. For instance, hip implants are more likely to migrate or loosen because the bone is more damaged. In addition, because the bones are already weak, fractures may occur during the surgery. Some people are forced to have more than one revision surgery. Complications can also be caused by anesthesia. Patients receiving revision surgery are more likely to have medical conditions and be older than people receiving their first hip replacement. Anesthesia used during surgery can cause breathing or heart problems. A 2010 study analyzed 1,097 hip revision recipients for two years after they received the surgery. In the first three months after revision surgery, the mortality rate was 0.9 percent. The results of the study could indicate that hip revision surgeries became safer during the past decade. A 2003 study of Medicare patients determined that the mortality rate for hip revision surgery was 2.6 percent. However, other factors could have contributed to the differences between the 2003 and 2010 studies. Patients can help prevent complications by taking precautions during the recovery period following surgery or delaying a hip replacement until an older age. Dislocation and blood clots are the most common complications and both of these issues can occur if a patient moves too much or too little. A doctor will provide exercise instructions that should be followed. It’s also important to stay up to date with hip replacement recalls. 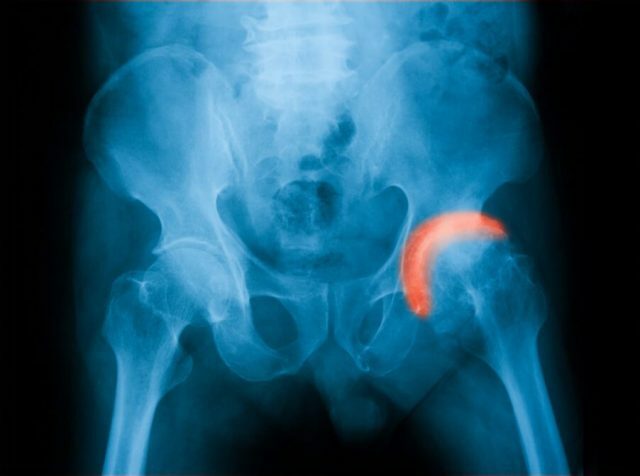 If the hip implant that you received was recalled, visit your doctor to determine if you should have a revision surgery. It may be necessary to replace the device even if you haven’t experienced complications. Many people don’t know what type of hip implant they have inside of them. It’s important to know what type of implant you have when considering a revision surgery. It also helps you stay in the loop if your device is recalled. Asking the surgeon’s office or hospital where the surgery was performed. Looking at your medical device ID card, if you received one. Hip revision surgeries are serious procedures that should be avoided if possible. People who receive revision surgeries are more vulnerable to complications that can lead to future revision surgeries. However, revision surgeries do improve quality of life when complications don’t arise.